Two books hold down the end of my desk. One is a beautiful book, the other is a breathtaking volume about beautiful books. 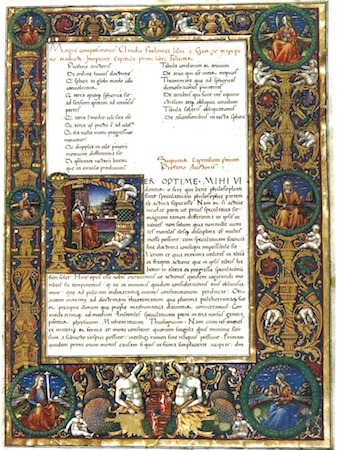 One is based on a copy of the Vulgate illuminated for Duke Federigo di Montefeltro (1422-1482) of Urbino in 1478, with the Latin text replaced by the King James version. The other describes some of the surviving works from King Matthias Corvinus’s library, now in the National Széchény Library in Budapest. They are pure luxuries. One followed me home from the Hungarian National Museum, the other jumped into my hands at the regional Barnes and Noble. You see, I am a sucker for beautiful books.